Get to know the value of others and that there's more to people than meets the eye.A complete summative assessment with a variety of questions, like multiple choice and vocabulary. Make judgments of the characters before getting to know them. Explore the concept of first impressions by explaining characters' actions towards each other. Recollect details from the text by completing sentences with the missing words. Test writing skills with a police report, complete with a synopsis of the events in question and witness statements. Keep track of the different traits of Freak and Max in a graphic organizer, before stating what they have in common. 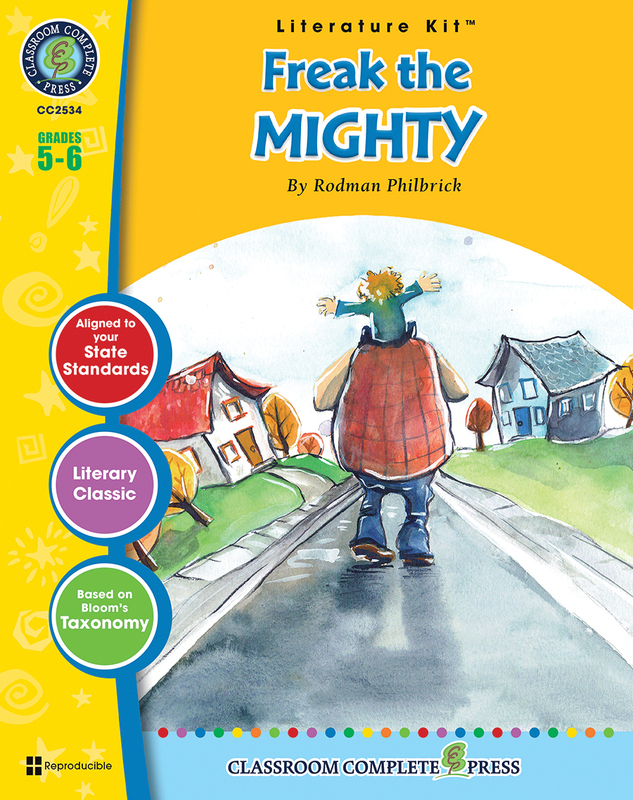 Aligned to your State Standards, additional crossword, word search, comprehension quiz and answer key are also included.About the Novel:Freak the Mighty is a story about two unsuspecting friends coming together and showing the world how special they are. Maxwell is big and scary. He is also kind and thoughtful. Kevin is small and weak. He is also smart and creative. These two boys are seen as dangerous and pitiful by those around them. It's not until they come together to become Freak the Mighty that people start seeing them for who they really are. Max lives with his grandparents after his mother died and his father was sent to jail. Kevin just moved in next door with his mother. As outsiders, Max and Kevin build a friendship. They both bring to the friendship something that is missing: Max brings strength and Kevin brings smarts. The two embark on many adventures that soon develop into real dangers.